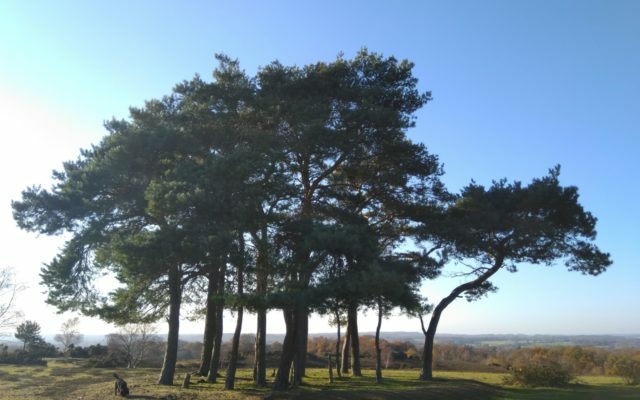 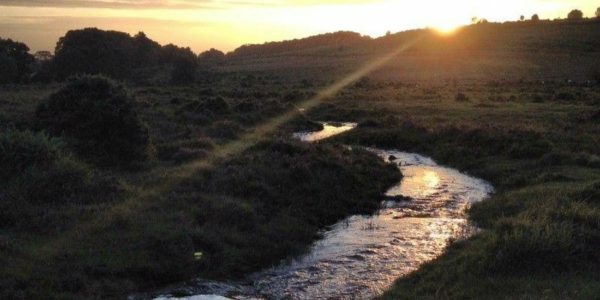 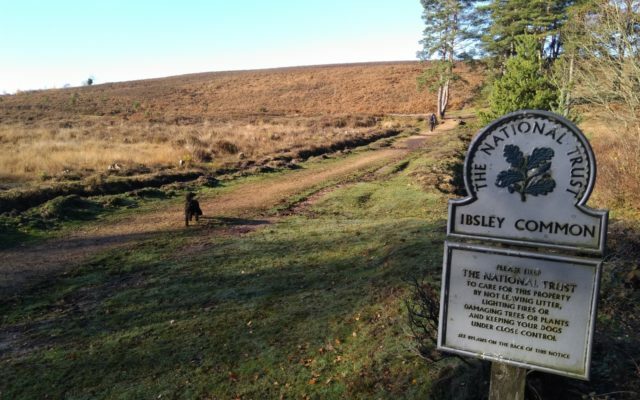 This walk takes you up onto Ibsley Common with its stunning views out over the northern New Forest. 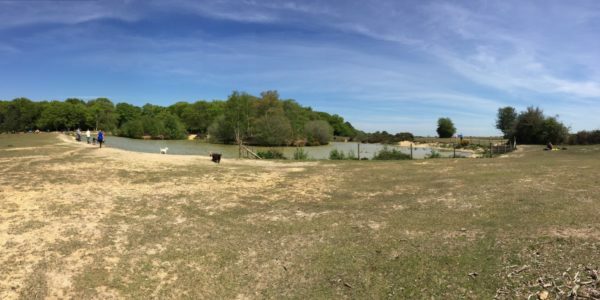 At the top are the remains of a World War 2 tracking station and its air-raid shelter. 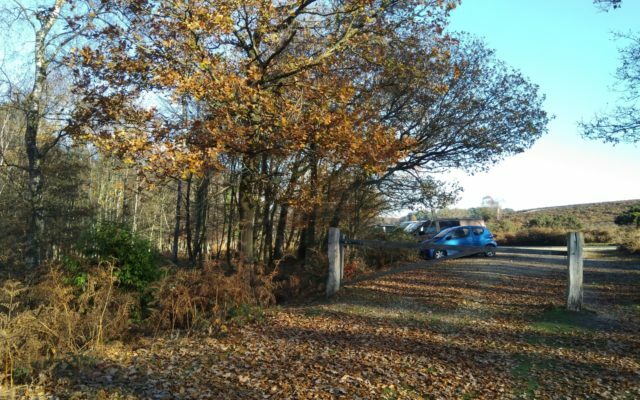 There are boards telling its story. 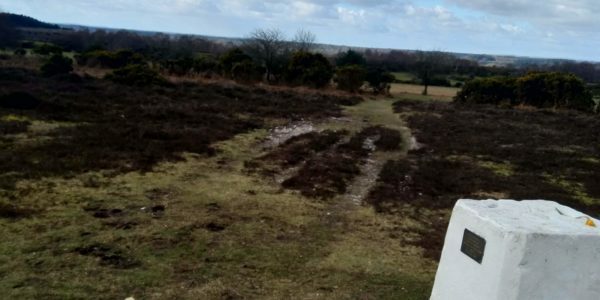 The marked map route is 4.5 miles, but there are numerous paths at the top, allowing the dog walker to pick a route of what ever length they feel up to. 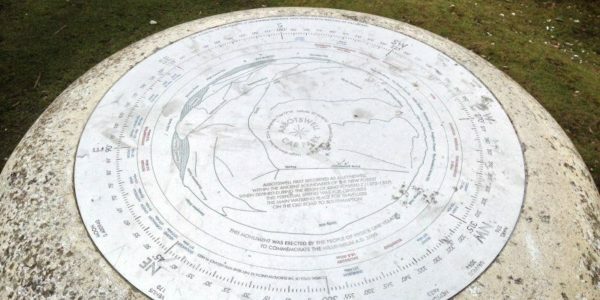 Park at grid reference SU 172 088, cross the road and climb the hill until you meet the main path.